Founder and Chief Instructor for High Reaches. Leslie has instructor credentials from the Shinsei Hapkido Federation and the Polished Arrow Christian Martial Arts Network. She completed a B.S. in Education from Baldwin-Wallace College. Leslie holds earned rank in Kempo Karate, Shorinji Ryu Kenpo and 4th Degree in her primary style of Shinsei Hapkido. 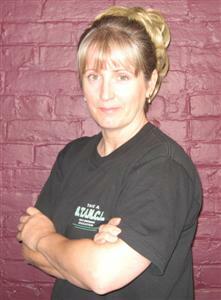 Leslie has been teaching martial arts to children and adults since 2000.